Can a mobile phone really work as a GPS? Outdoor Writer and Photographer, Tom Hutton, definitely thinks so. A fully-functional OS mapping style GPS on a mobile phone - too good to be true eh? At least that’s what I thought until now. And this is where this report starts to sound a bit clichéd. Because it’s not too good to be true at all: using my Samsung Galaxy (yes, hard-up outdoor writers can’t run to i-Phones…), which I always carry with me in the hills, and ViewRanger mapping, I have exactly that - a fully-functional GPS running full OS mapping (1:50000 or 1:25000). So as someone who (a.) prefers maps to gadgets and sometimes just wanders with nothing at all (it’s my job to explore); and (b.) doesn’t like to carry more than he needs: this is perfect. Most mornings I head off into the Cambrian Mountains with my Labrador, Du, a camera, my mobile, and not much else. On short days, we cover tracks or peaks we’ve done before and have no need to check anything. But on others, the wanderlust gets me (usually when I have a deadline and really ought to be at my desk), and we just keep going to ‘that peak over there’ or ‘up this valley here’ and sooner or later, I decide I ought to at least check the best line back again. And there it is on my mobile phone. Other days, I go out with more purpose: researching for magazine articles or books for example. Then I run the mapping software from the off. Not only does the recorded track help me with my descriptions when I get back but the dashboard also records distance etc – always useful. And so far I haven’t even mentioned the obvious: tricky navigation. Whilst I hope to retain my map reading skills for the foreseeable, setting a waypoint to go to, and then following a direction arrow that constantly adjusts as you track around obstacles etc, is definitely a lot quicker and a lot more accurate than leapfrogging. But this summer things have got even better: ViewRanger mapping for parts of the Alps. In the Alps, way more than in the UK, it’s important to keep weight to an absolute minimum so a GPS receiver would usually be superfluous to requirements. But also in the Alps, way more than here, I’d carry a mobile for emergencies. So with the mapping for the Chamonix area loaded, I set off on a couple of big climbs this year knowing that if I got caught out and needed to locate a hut or bivi or similar, I could use my phone to help. And anyone’s that’s been stuck on the Platiere du Gouter in a storm will tell you that knowing where the Vallot Hut is might just save your life. The fact that it will also give you a map reference for rescuers could be a life saver too. So far, I’ve never really used it in anger. And in some ways, I hope it stays that way. But it has become an integral part of my outdoor gear, as has the Aquapac cover that allows me to take it out and use it in any weather. Every now and then a piece of technology comes along that really fulfils the brief, and ViewRanger is definitely one of these. I’d recommend it to anybody. Tom is a regular contributor to the route guides in Trail Magazine. 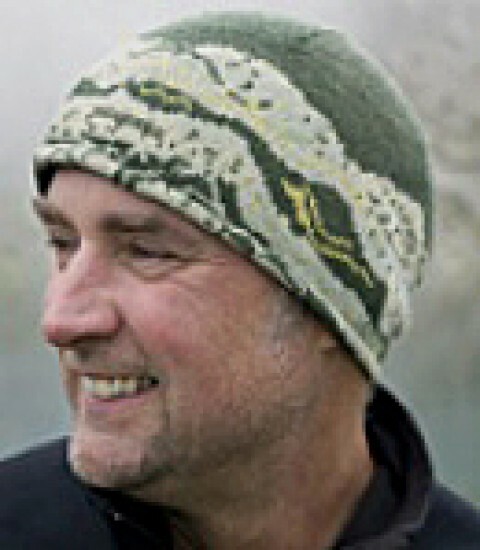 You can discover many of the routes that Tom has authored for Trail Magazine, and download them to your ViewRanger app. Discover his routes using the map below.